Fikre Selassie Wogderess (born c. 1945) was the Prime Minister of the People's Democratic Republic of Ethiopia (PDRE) from 10 September 1987 to 8 November 1989. Fikre was one of the more obscure members of the Derg until the coup of 3 February 1977, in which Secretary-General Tafari Benti was killed along with seven other Derg members. The coup elevated him (Bahru Zewde notes "according to some sources from near execution by reason of mistaken identity!") to Secretary-General, in which post he would occasionally dispel "the atmosphere of total sycophancy" with his "fractionally independent disposition." While Prime Minister, Fikre Selassie made a trip to Cairo in November 1988 to seek improved relations with Egypt, and to express support for Egypt's offer to negotiate a settlement of the Eritrean conflict. In November 1989, President Mengistu Haile Mariam ordered him removed from his post, having criticized him three days prior in a meeting of the Politburo of the Workers Party of Ethiopia, stating "there is no one quite like Fikre Selassie, who sits idly and quietly. One time, he sat here reading a magazine.... He is not antirevolutionary or a criminal, nor is he conspiratorial.... But he is unstable and even rude.... He is being expelled for disciplinary reasons also." Following the conclusion of the Ethiopian Civil War and the end of the PDRE, Fikre was one of 46 former leaders of the PDRE who were tried in person beginning 19 April 1996 for murdering individuals, genocide and crimes against humanity by the Federal Democratic Republic of Ethiopia; 22 more individuals, including the exiled Mengistu, were charged in absentia at the same trial. The trial ended on 26 May 2008, and Fikre Selassie Wogderess was sentenced to death. 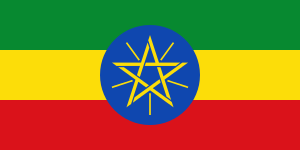 In December 2010, the Ethiopian government commuted the death sentence of Fikre Selassie and other 23 Derg officials. On October 4, 2011, Fikre Selassie was freed along with other 16 of his former colleagues, after twenty years of incarceration. The Ethiopian government paroled almost all of those Derg officials who had been jailed for 20 years. ↑ "Minutes of the 106th Regular Meeting of the Politburo," 5 November 1989, cited in Gebru Tareke, The Ethiopian Revolution: War in the Horn of Africa (New Haven: Yale University, 2009), p. 143. ↑ James C. McKinley Jr, "Ethiopia Tries Former Rulers In 70's Deaths", The New York Times, 23 April 1996.